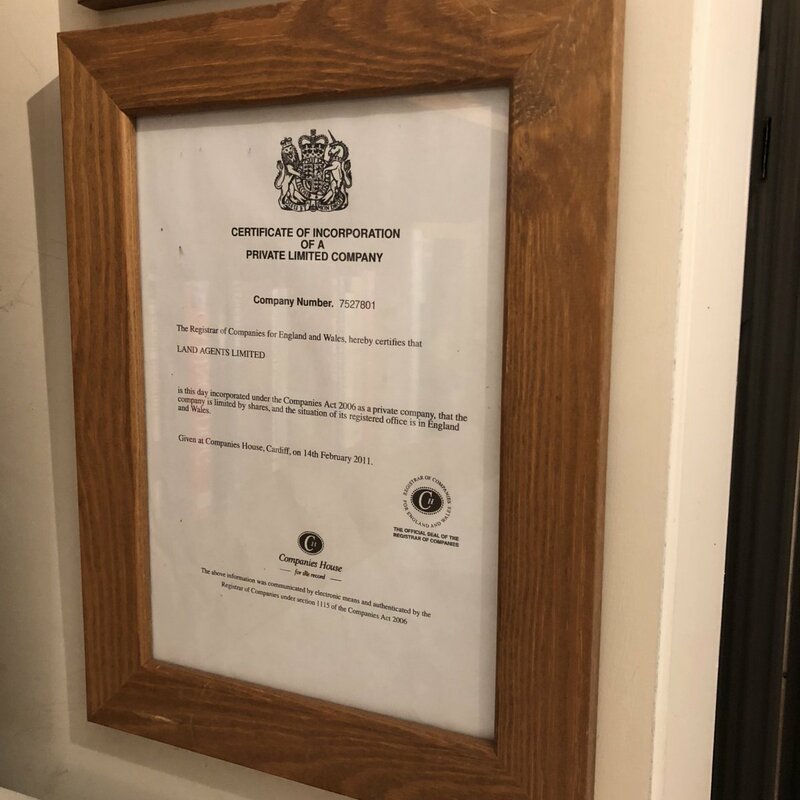 Land Agents Limited, incorporated in 2011, is the Chartered Surveying practice legal entity, through which all of my professional work is carried out. Land Agents Limited is the foundation beneath all of my professional ventures, and is the RICS accredited vehicle of choice for my professional career path. The Company acquired the going concern of Hamiltonscs LLP (which had been, formerly, the Hamiltons partnership since the mid 1990s), and went on to provide professional services to the rural community under a variety of different brands. A number of successful diversification projects have been sold, and the Company now concentrates, purely, on the core activity of Chartered Surveying services, predominantly in rural areas, but across the major sectors of agricultural, residential, and commercial. The Company's motto was acquired along with the Hamiltons brand; 'Maximising Assets', an aim we strive towards in every instruction.